Berlin-based streaming music startup SoundCloud is close to signing equity deals with the three major record labels, according to a Bloomberg report, which states that the startup is looking to give Universal Music, Warner Music and Sony Music stakes of three to five percent in exchange for the right to use their content. Those kinds of equity deals are not uncommon for music startups — but in this case, the labels are hoping for more than a nice payout in case of an acquisition: SoundCloud could open up a whole new revenue stream for them, allowing them to monetize a huge chunk of music listening that has so far been beyond reach. Bloomberg reports that the agreement would prevent any lawsuits by the labels against SoundCloud, suggesting that legal threats may have been raised as a possibility. The deals reportedly include SoundCloud paying the labels every time a song from their repertoire is played. This could happen through a set per-song rate until SoundCloud’s revenue crosses a certain mark, after which the labels could get a percentage of that revenue. SoundCloud has long operated under the assumption that it isn’t responsible for the uploads of its users. The company has responded to formal takedown notices when labels complained about unlicensed content, but it has also been able to strike promotional relationships with the music industry. Recently, news broke that SoundCloud apparently has been striking special takedown arrangements with major record labels, allowing Universal (and most likely a few select others) to directly take down unlicensed copies of their songs without any involvement from the startup. These special takedown arrangements, together with the now-reported impending label deals, suggest that the company is getting much closer to achieving what has long been its master plan for profitability. After talking to sources in the industry, it’s become obvious to me that the plan boils down to this: copy YouTube’s monetization scheme. Just like SoundCloud, YouTube initially had a pure notice-and-takedown approach. YouTube users uploaded clips from all over the place, including TV shows and music videos, and YouTube would respond to claims from rights holders by either taking down clips altogether or muting unlicensed soundtracks. Over time, the company built out tools to automate this process, allowing rights holders to identify their assets once and then have them blocked whenever they appeared on the site — something that’s been dubbed Content ID. But then YouTube did something quite ingenious by giving rights holders a choice, and basically telling them: You can either take down your music from our site, or you can monetize any video that uses it — including those viral hits that gather millions of views in just a few hours. The labels eventually all gave in — and now make more money from lip syncs, parodies, wedding dances and other fan-produced videos than from their official music videos. 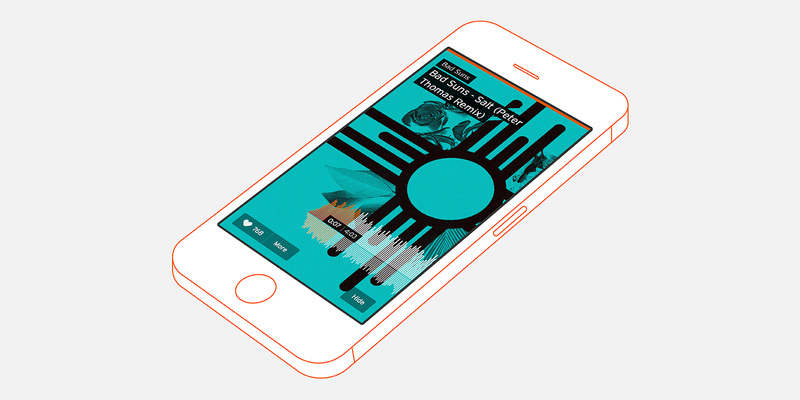 SoundCloud is now likely to copy this strategy, and it could open up an entirely new revenue stream for the labels. One of YouTube’s strongest assets has been its community of video creators, who use the labels’ music for their own clips and creations, and upload 100 hours of video to the site every single minute. SoundCloud has a similar creative community — only it doesn’t produce viral videos, but DJ mixes, mashups and podcasts, all of which were previously beyond reach for the industry. With a YouTube-like approach to content monetization, labels could start to make money every time a bedroom DJ’s mix finds a new listener. Of course, there’s one caveat: This kind of licensing structure is only sustainable if SoundCloud actually figures out how to make money. Right now, the startup relies on charging uploaders fees. But with obligations to rights holders around the corner, it’s likely that SoundCloud will soon start to embrace advertising. The challenge for the company will be to find a way to make ads worthy enough for brands to pay up, while at the same time unobtrusive enough for listeners to stick around.